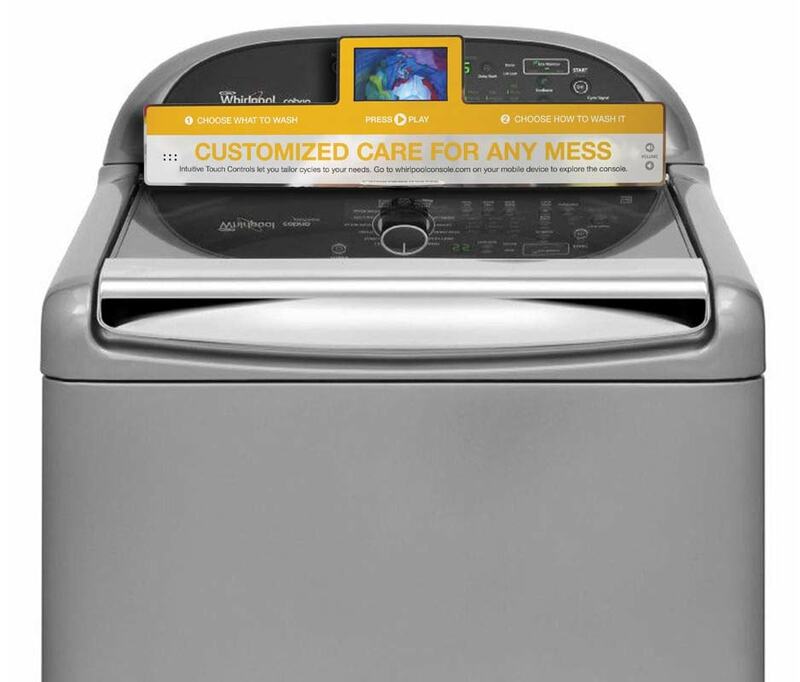 Whirlpool wanted an in-store display that would engage consumers at the point of sale and communicate how their new machines could give clothing a “customized clean.” And they wanted the display done their way. Whirlpool worked with Americhip’s design team to create a custom Video Blade that would suit their communication goals. 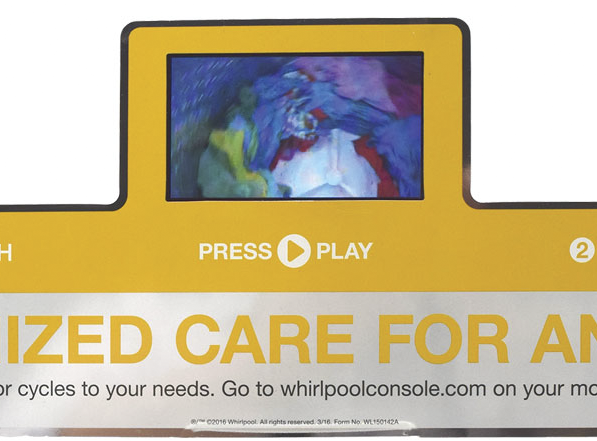 With Americhip’s creative in-store video communication device, Whirlpool was able to offer its consumers a 30-second demonstration of their new machine in action on our high quality 4.3” VIP screen. And, thanks to the innovative design which moved the screen above the Blade, Whirlpool had 24 uninterrupted inches of real estate to communicate key features of the new washing machine. The Video Blade has performed so well for Whirlpool that it is considering a larger roll out into additional retailers this year.